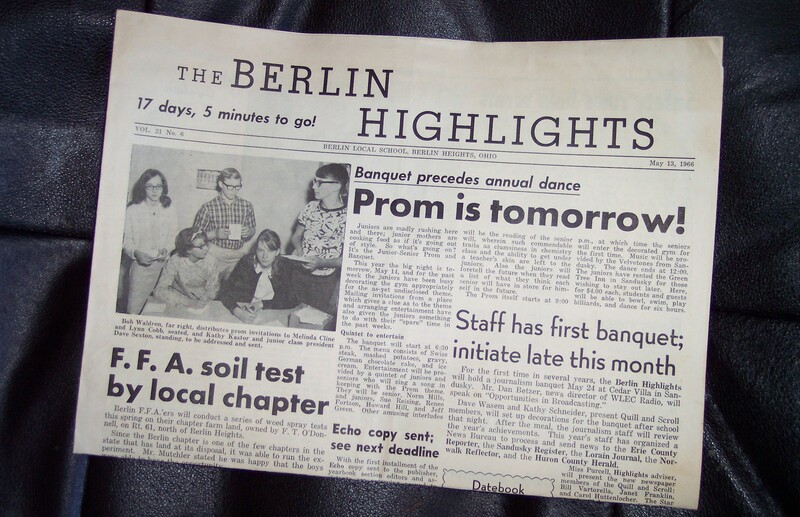 DOWNLOAD A COPY OF ONE OF MY OLD HIGH SCHOOL NEWS PAPERS FROM MAY 13, 1966! THIS FILE IS 7 MEGS AND MAY TAKE AWHILE TO DOWN LOAD IF YOU HAVE A SLOW INTERNET CONNECTION. IT'S WORTH THE WAIT! IF YOU WOULD LIKE TO DOWN LOAD IT TO KEEP, JUST RIGHT CLICK ON THE LINK AND CLICK " SAVE TARGET AS..."